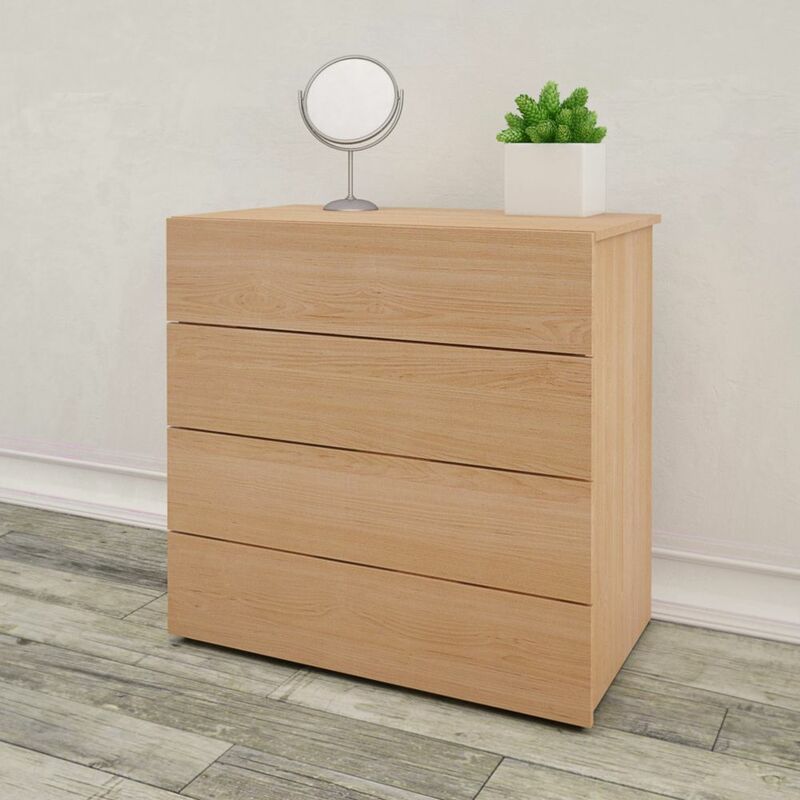 Kabane 341405 4-Drawer Chest from Nexera offers 4 convenient storage drawers to keep your clothes and personal effects, organized in the most stylish way. Kabane Collection from Nexera is a contemporary bedroom collection offered in a rich Natural Maple finish with a choice of 3 platform bed sizes - twin, full and queen. Featuring a contemporary look with plenty of chic appeal, this chest combines massive lines, luxurious design and prominent metal handles for an imposing result. Five drawers, at your service! The Gloria 5-drawer chest comes with a 5-year quality guarantee. Can be combined with items of this collection. This 5-drawer chest was designed with clean, straight lines and features five drawers mounted on metal slides for smooth gliding. The drawers offer convenient vertical storage and are fitted with modern cut outs instead of handles, making it an easy match to all decor types. This 5-drawer chest possesses an abundance of detail contributing to the creation of a harmonious, distinguished decor. The rounded lines of the side panels and legs create balance, enhancing the look of your bedroom. The delicate moldings, profiled drawer fronts and two handle styles will provide that charm you're looking for! 341405 Kabane 4-Drawer Chest, Natural Maple Kabane 341405 4-Drawer Chest from Nexera offers 4 convenient storage drawers to keep your clothes and personal effects, organized in the most stylish way. Kabane Collection from Nexera is a contemporary bedroom collection offered in a rich Natural Maple finish with a choice of 3 platform bed sizes - twin, full and queen.